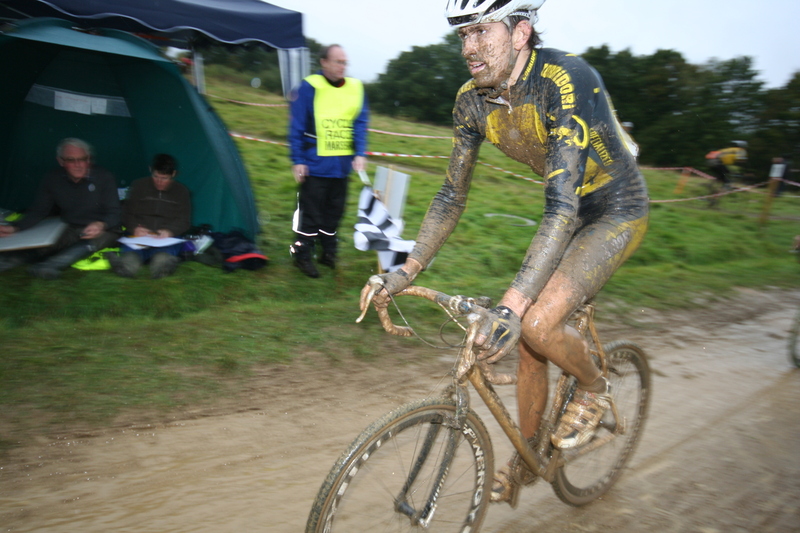 Once a race promoted by East Grinstead CC’s Andy Seltzer. Deers Leap is a course we have not used for a few years. This day it was very wet but I can remember very hot weather for some races. The course was a mix of farm tracks, wooded areas and country park grassland which crossed a rather deep and wide’ish gully, which filled with water when wet. Sylvain Garde: “There was a cool little shop with a few bike parts there. 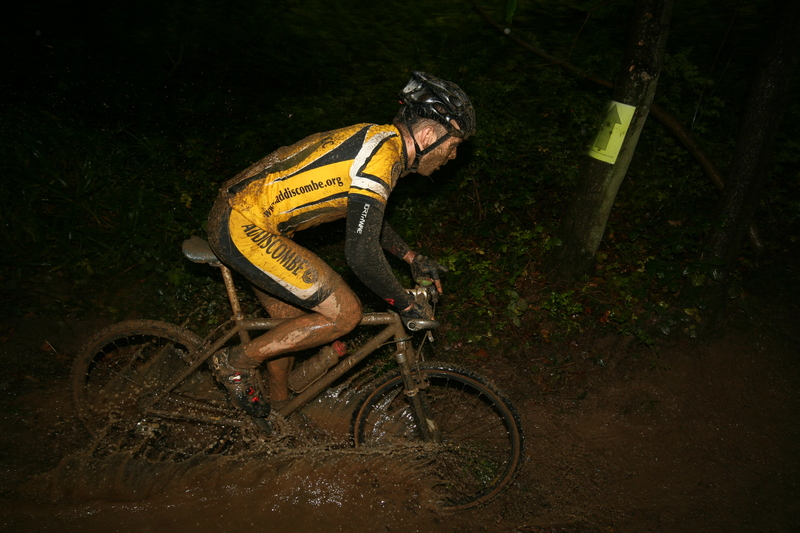 That was à tricky course when muddy”.